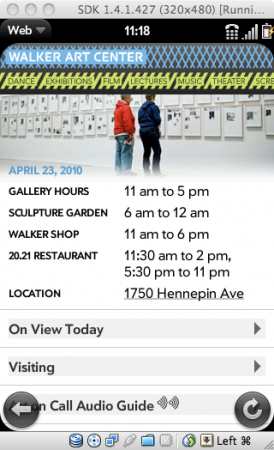 While developing the Walker’s mobile site, I needed to test the site in a number of browsers to ensure compatibility. If you thought testing a regular website was a pain, mobile is an order of magnitude worse. 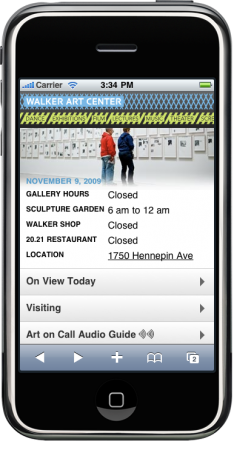 Our mobile site is designed to work on modern smartphones. If you’re using a 4 year old Nokia phone with a 120×160 screen, our site does not and will not work for you. If you want to test on older/less-smart phones, PPK has a quick overview post that has some pointers. Even so, getting the current smartphone OS running is no piece of cake. 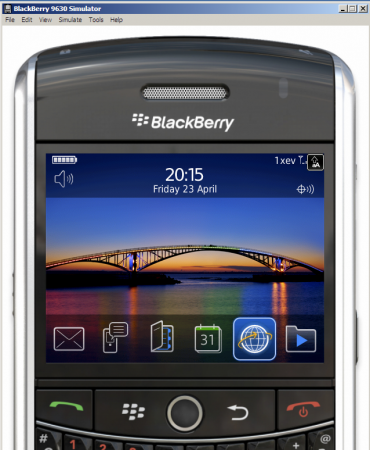 So this post will outline how to get iPhone, Android, WebOS, and, ugh, BlackBerry running in emulation. Note: I left out Windows Mobile, as does 99% of the smartphone buying public. Getting the iPhone to run in emulation is very easy. First, you have to have a mac. If you’re a web developer, you’re probably working on a mac. You need to get the iPhone developer tools. You’ll have to register for a free Apple Developer account, agreeing to their lengthy and draconian agreement. Once that’s done, you can slurp down the humongous 2.3gb download and install it. Once installed, you’ll have a nice folder named Developer at the root of your drive, and navigate inside it and look for the iPhone Simulator.app. That’s your boy, so launch it and, hooray! You can now test your sites in Mobile Safari. The iPhone Simulator is by far the easiest to work with, since it’s a nice pre-packaged app, just like any other. And it is a simulator, not an emulator. 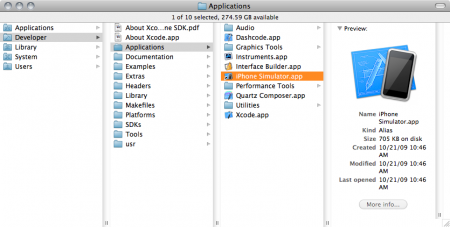 The difference being, a simulator just looks and acts like an iPhone, but actually runs native code on your machine. An emulator emulates a different processor, running the whole host OS inside the emulator. The iPhone simulator runs an x68 version of Safari, and just links to the mobile frameworks, compiled in x86, on your local machine. A real, actual iPhone has all the same frameworks, but they’re compiled in ARM code on the phone. In typical google fashion, Android is a bit more confusing, but also more powerful. There are roughly three different flavors of Android out there in the wild: 1.5, 2.0, and 2.1. The browser is slightly different in each, but for most simple sites this should be relatively unimportant. 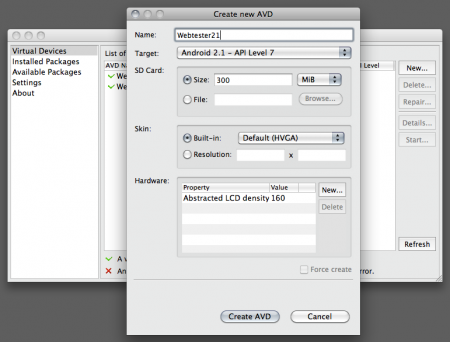 Very tricky: Launch the android executable. Palm is suffering as a company right now, and depending on the rumors, is about to be bought by Lenovo, HTC, Microsoft, or Google. Pretty much everyone agrees that WebOS is really cool, so it’s definitely worth testing your mobile site on. 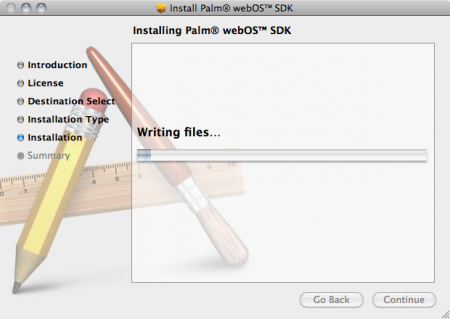 WebOS, like the iPhone and Android, use Webkit as it’s browser, so things here are not going to be unexpected. The primary difference is the available fonts. 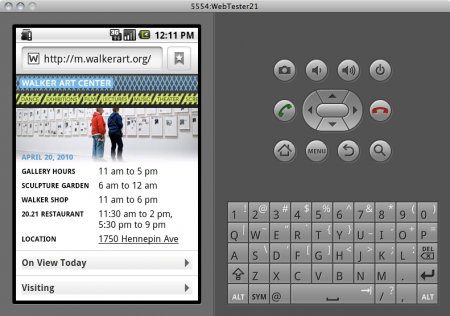 Running the WebOS emulator is very easy, at least on the Mac. 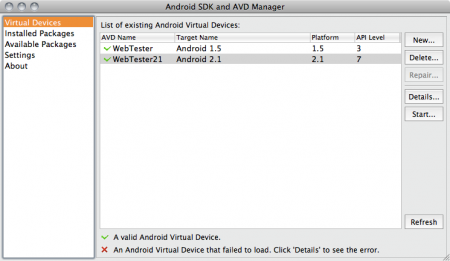 First, you need to download an grab a copy of VirtualBox, and second, you download and install the Palm SDK. Both are linked from this page. 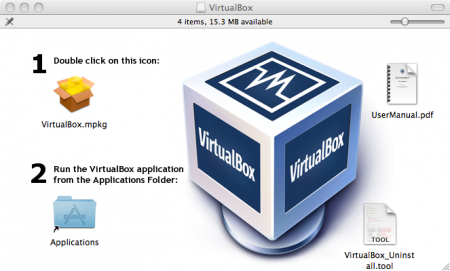 When you launch the emulator, you’ll be asked to choose a screen size (corresponding to either the Pre or the Pixi) and then it will start VirtualBox. It’s a bit more of a cumbersome startup process than the iPhone Simulator, but about on par with Android. 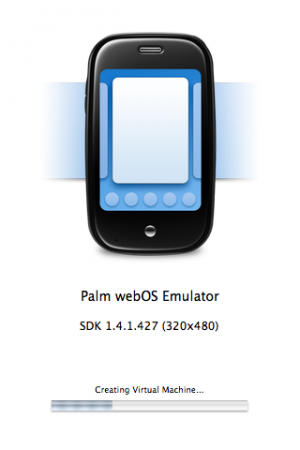 WebOS emulator starting up. It fires up VirtualBox in the background. BlackBerry is the hairiest of all the smartphones in this post. Unless you know the Research In Motion ecosystem, and I don’t, it seems that there are about 300 different versions of BlackBerry, and no easy way to know what version you should test on. From what I can tell, the browser is basically the same on all the more recent phones, so picking one phone and using that should be fairly safe. 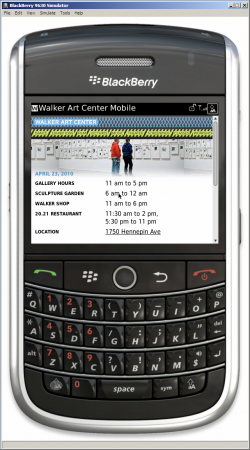 RIM is working on BlackBerry 6, which is purported to include a WebKit based browser, addressing the sadness their browser causes in web developers everywhere. The first thing you’re going to need to simulate a BlackBerry is a windows machine. I use VMWare Fusion on my mac, and have several instances of XP, so this is not a problem. The emulator is incredibly slow and clunky, so you’ll want a fairly fast machine or a Virtual Machine with the settings for RAM and CPU cranked up. There are three basic parts you’ll need to install to get the BlackBerry emulator running: Java EE 5, BlackBerry Smartphone Simulator, and BlackBerry Email and MDS Services Simulator. Let’s start with Java. You need Java Enterprise Edition 5, and you can get that on Sun/Oracle’s Java EE page. I’ve had Java EE 5 and 6 on my windows machine for quite some time, so I’m not actually sure what version BlackBerry requires, but it’s one of them, and they’re both free. Get it, install it, and add one more hunk of junk to your system tray. Now you need the emulators themselves: To get an emulator, head over to the RIM emulator page and pick a device. I went with the 9630 since that seems fairly popular and it was at the top of the list of devices to chose. I’d grab the latest OS for a generic carrier. You will have to register for a no-cost RIM developer account to download the file. 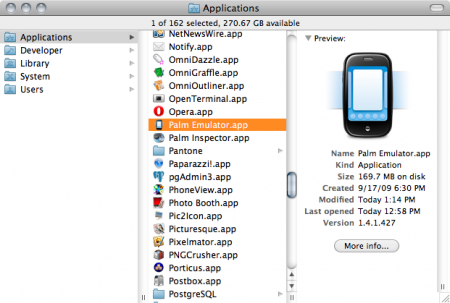 While you’re there, you’ll also want to grab the MDS (aka Mobile Data Service) emulator. This is what enables the phone to actually talk to the internet. To grab this, click on the “view all BlackBerry Smartphone Simulator downloads” link, and then choose the first item from the list, “BlackBerry Email and MDS Services Simulator Package”. Click through and grab the latest version. I like to take screenshots of Windows to show how crazy bad it is. MDS running. It's a java app.